Have you ever woke on a spring morning to hear the cheery-up! song of an American robin? 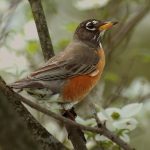 Robins are a type of migratory songbirds. When the winds turn cold, these happy little birds fly south to Mexico, Florida, and even Central America. But what brings robins back in the springtime? Earthworms and 37º Fahrenheit! 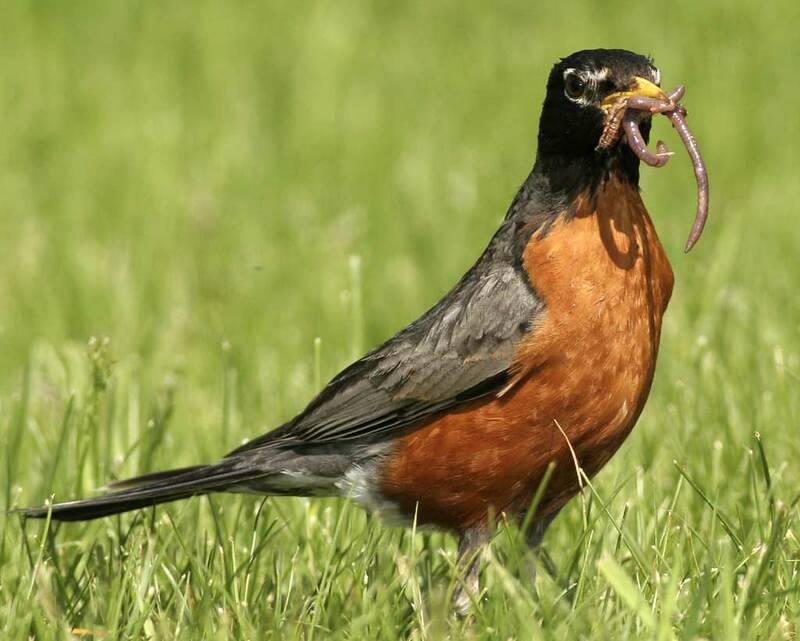 Earthworms are robins favorite food. When temperatures dips below 37ºF, these wiggly fellows dig below the frostline, curling up by the hundreds in snug worm-balls. There they stay until the earth warms to…you guessed it…37ºF! And with the worms, come the robins, flying north by the thousands. 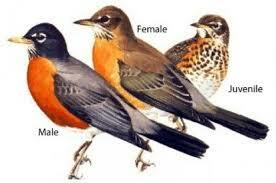 Migrating birds though are generally quiet, so you may never hear robins until they reach their northern homes. Then the robins begin their cheery-up! song. 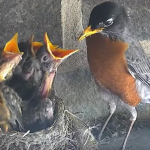 Robins sing, especially at dawn and dusk, to attract mates, defend territory, and warn of danger. Check out the recordings below, and play it outside, too. You just might get a robin to sing back to you. Cheery-up! Cheery-up! 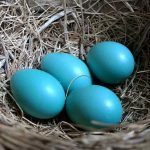 When you see the robin hopping about your yard, you know the earth is warming, the worms are wiggling, and spring is here at last! 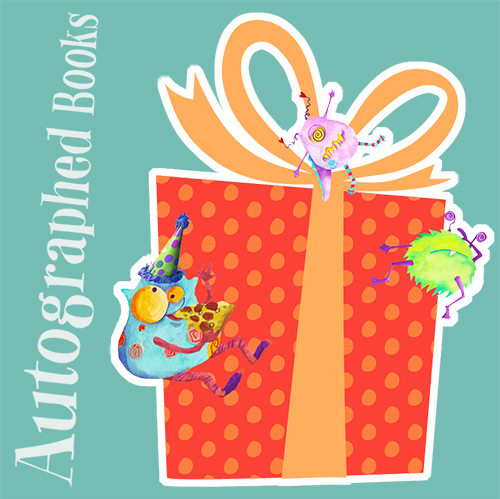 Next PostSilly Scientists want to know...What do dragonflies eat?